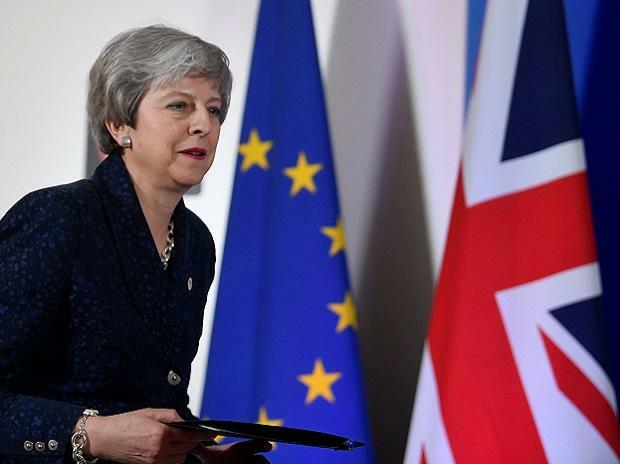 May pleaded with them at an emergency summit to delay Britain's exit, due on Friday, for a couple more months while the UK sorts out the mess that Brexit has become. May spoke to the 27 EU leaders for just over an hour, before they met for dinner without her to decide Britain's fate. In contrast to some testy recent summits, there were signs of warmth and even humour. May and German Chancellor Angela Merkel were filmed laughing over a tablet bearing an image showing the two of them speaking to their respective Parliaments on Wednesday wearing similar blue jackets.